Owen Bennett Jones heads to Pakistan where Deobandi Islam has inspired violent groups like the Taliban as well as a peaceful missionary movement. 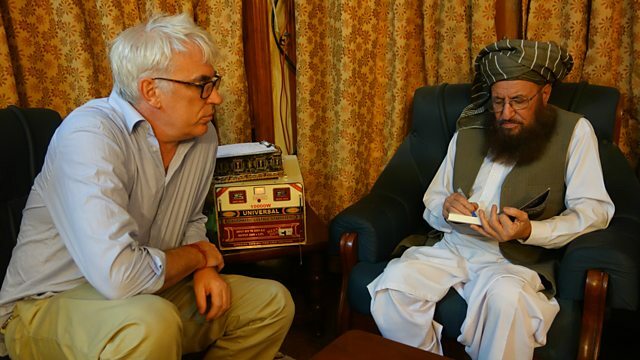 The BBC's former Pakistan correspondent Owen Bennett Jones continues his exploration of South Asia’s Deobandi Muslim movement. He heads across the border to Pakistan, where Deobandi ideology has provided spiritual guidance for both militant groups like the Taliban and a strictly non-violent missionary movement. So how can a single school of thought follow such different paths? Owen explores the role the Deobandi ideology has played in shaping Pakistan's identity, and how the Pakistani state has tapped into the intolerant elements of Deobandi teachings to fuel state-sponsored jihad - be it fighting the Soviets in Afghanistan or the Indians in Kashmir. Empowered by a ready supply of cash and guns, a relatively small number of Deobandi militants have caused havoc across the country, in the form of sectarian violence, and anti-state violence, as violent groups turn their guns on their masters. Pakistan created a monster by endorsing Deobandi militancy - so how can it bring it under control?